Are you a bunny lover? 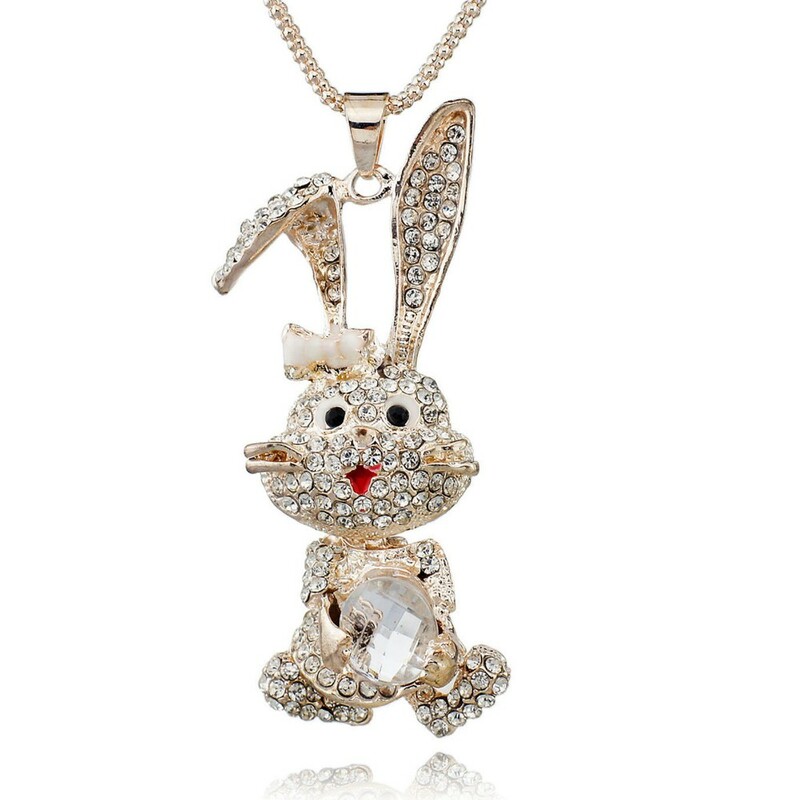 Then this rabbit necklace pendant is a must-have item for you. 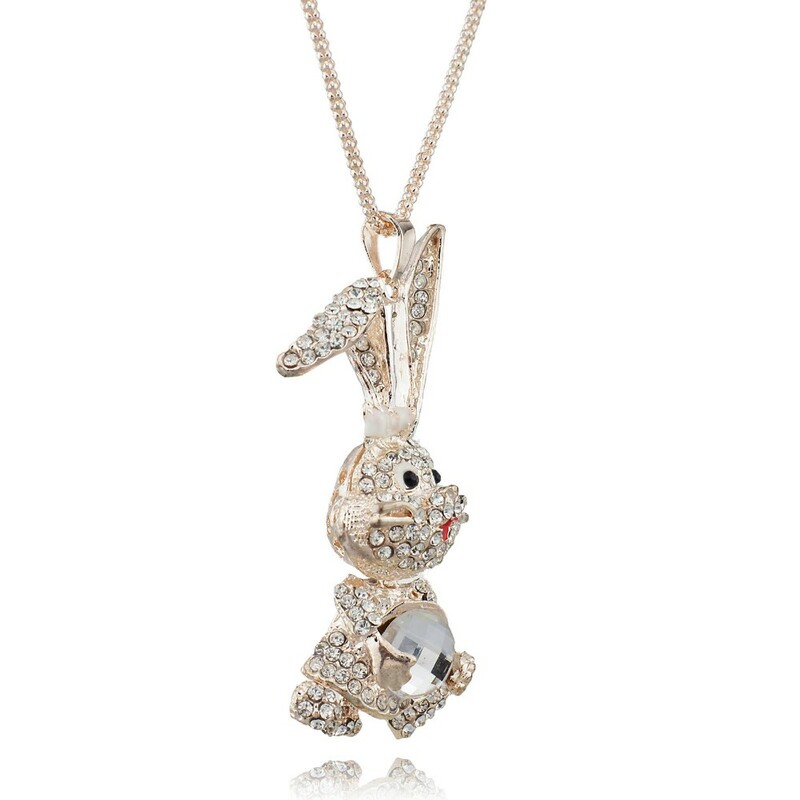 Because everything about bunnies excites you. Wear this necklace pendant anywhere and express your feelings. This rhinestone rabbit pendant is made with extra care ensuring not a single crystal falls out. The pendant comes with a 27.5 inches link chain that enhances beauty. The zinc alloy metal assures no discoloring of the chain. Fashionable and suitable for wearing on all occasions. Excellent matching for a rabbit guardians personality. As well as for any women who wants to style cute. We require a 2 to 4 weeks delivery time. Click ADD to CART button above before our stock runs out!